Matthew Hoffman moderates the new episode of the Focus Features digital series You Know That Scene on “LGBTQ+ Films and Filmmakers” (which is currently streaming on Facebook Watch and YouTube). Hoffman leads his fellow panelists—Jacqueline Coley (Editor, Rotten Tomatoes), Scott Mantz (President, LA Online Film Critics Society), Wendy Lee (Actress/Content Creator, Collider), and Trisha Hershberger (Entertainment Influencer, Host, Producer)—in an animated exploration of the impact films like Brokeback Mountain, Pariah, The Danish Girl, and Boy Erased have had on our culture. Currently a correspondent for Regal Cinemas, Hoffman has played a number of roles from interviewing movie stars to performing at Madison Square Garden to directing seniors in his innovative video series Tuesdays with Matthew. You seemed to have done a lot in your professional career. Tell us a little about your journey? I grew up a theater kid on Long Island. At sixteen, I got my first professional gig playing a young Scrooge/Tony Randall in A Christmas Carol at Madison Square Garden. Jesse Eisenberg was my understudy. When I graduated high school I knew I wanted to do theater, so I went to the Boston Conservatory for a BFA in musical theater. When I graduated, however, it became very clear to me that I didn't want to play other people. I remember rushing home in high school to watch The Rosie O'Donnell Show and thinking I want to do what she does someday. But I had no idea how you do that. Fate intervened when I went with my best friend at the time—who was also the daughter of Vogue editor Anna Wintour—to the Tony Awards at Radio City Music Hall and Hugh Jackman pulled me on stage to do an impromptu duet with him. That short performance ended up being written up in the New York Post the next day.With that clipping in hand, I set out to find hosting jobs. I moved to LA, contacted a few agents, and started looking for work. Even though I was naïve and young, I got some great opportunities right away. I hosted The Morning Show and worked as a correspondent for E! TV. I wrote and hosted my own show from the creators of Project Runway. For the last five years, I have been really lucky to be the correspondent for Regal Cinemas. And I just started a couple weeks ago as a special correspondent for Extra. Tell us a little bit about your show Tuesdays with Matthew? When I first came to Los Angeles I was told I needed a hosting reel, but I didn’t have anyone to interview. Then when I was driving by a senior center, I thought it would be fun to get some sound bites from the residents for my hosting reel. The receptionist sent me down the hall to the chorus group. “They are really lively,” she told me. I just fell in love with all of them. A musical theater boy singing show tunes with these seniors. That’s as good as it gets. They asked me to come back next week, and I just kept coming back. That evolved into Tuesdays with Matthew. We started doing a sort of acting class with scenes they loved, and then we decided instead of just reading the scenes, we’d make a movie with costumes and props and wigs. Using green screen, we’ve done everything from Titanic to Casablanca. A while back we did Brokeback Mountain with two seniors playing Jack and Ennis. After I edit the movie, we show the film at the senior center as a fundraiser. We roll out a red carpet and I show up in a tux and we have champagne glasses filled with Ensure. All the money raised goes to Meals on Wheels. Now I’m taking Tuesdays with Matthew on the road. We just did Breakfast at Tiffany's in Clovis (which is by Fresno). 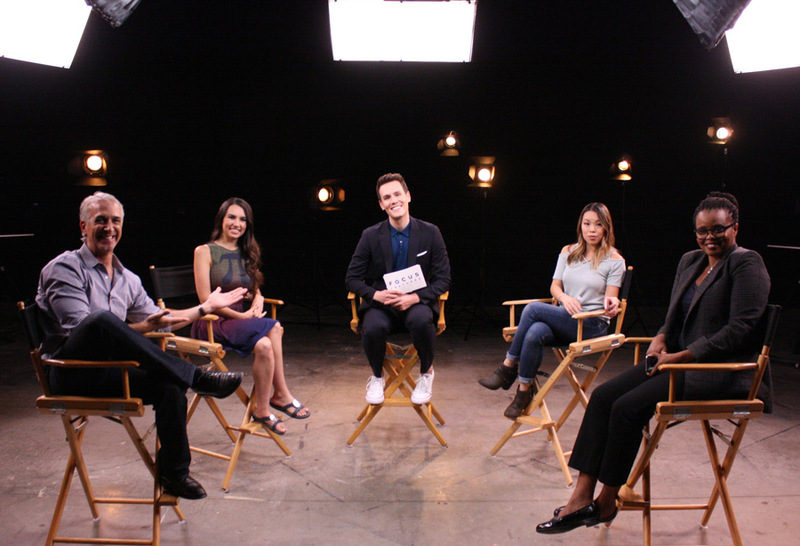 Meet the You Know That Scene panel: from left to right, Scott Mantz, Trisha Hershberger, Matthew Hoffman, Wendy Lee, and Jacqueline Coley. You talk about the power of film on the panel. Were there films that had an impact on you? As an adult, I would have to say Sunset Boulevard and Braveheart. They were two of the first movies that I used in Tuesdays with Matthew. They helped me realize that you could use movies to create a dialogue that spans generations. For Braveheart, I made a little blue mask at Kinkos and one of my seniors wore it while delivering the William Wallace monologue. That showed me the power of movies—an 80-year-old man using a Mel Gibson film to entertain his friends. Your panel explores the power of different LGBTQ+ films and filmmakers to change perspectives. Is there a particular LGBTQ+ movie that moved you? There’s a two-part answer to that. The first LGBTQ+ movie that affected me was Philadelphia. You can imagine how it was for a young kid to see that. And then I became aware of how far the representation of the community has come when I saw Love, Simon this year. While both are very important films, they are worlds apart. When I saw Love, Simon, I kept thinking, “My God, if I had had that as my first film...” Not to downplay the importance of Philadelphia, but Love, Simon seems to represent a whole new generation. It shines a light on how far the story has changed in the community. It's so important to get the message to young people that it's okay, that you will be loved. The Brokebacks of the world are so beautiful and need to be told, but also, why not just have a love story? This generation needs the see the struggle, but they also need a Cinderella moment. What did you learn moderating your episode of You Know That Scene on “LGBTQ+ Films and Filmmakers"? 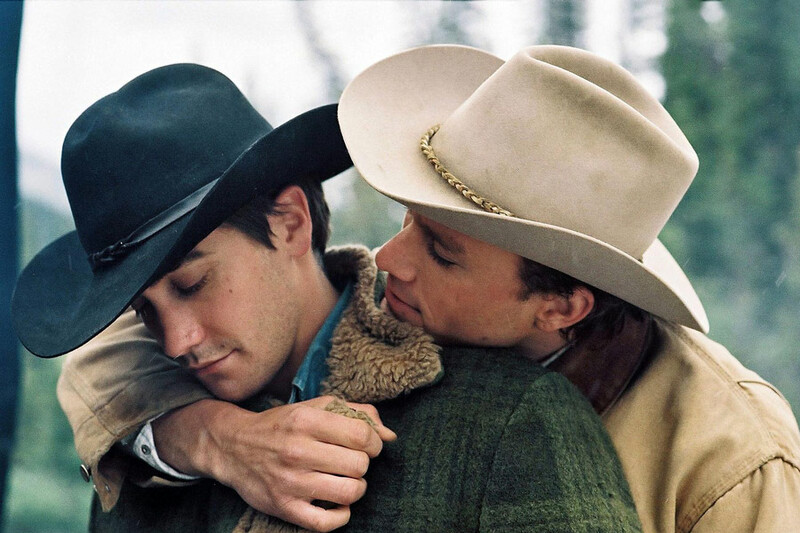 During the episode, Scott [Mantz] said something that really stayed with me—Brokeback Mountain is not simply a gay movie or a gay cowboy movie, but a love story. You can see these movies through the lens of the LGBTQ+ community—and that’s important—but it's also important to show the community is just like everybody else. We all have similar struggles. I think about the way that Boy Erased affected Trisha [Hershberger] because she’s a mother. She may not be able to relate directly to Lucas’ character, but she can connect to the story as a mom. People who are watching the episode who are not part of the LGBTQ+ community can see how a film like Boy Erased really affects everyone by seeing how it connects to the diverse people on our panel in different ways. Everybody knows someone in the community, and if they don’t, they can empathize with the struggle for acceptance and love. Having done the episode are there any themes that you feel deserve a deeper dive? There's always more discussion to be had. That's what good movies do. That’s when you know it's a good movie, that it continues to create a conversation so long after you’ve seen it. Good movies hold a lens up to the culture and to the world and lets you relate to things by seeing yourself up on screen.